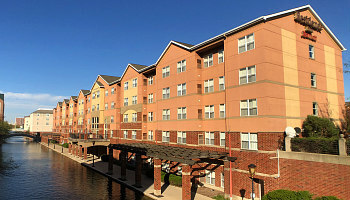 Relaxing Indiana has all the essentials for a great romantic vacation in the Mid-West! The Hoosier State is blessed with peaceful outdoors, interesting restaurants, culture, architecture, and a small but sandy slice of the Lake Michigan waterfront. 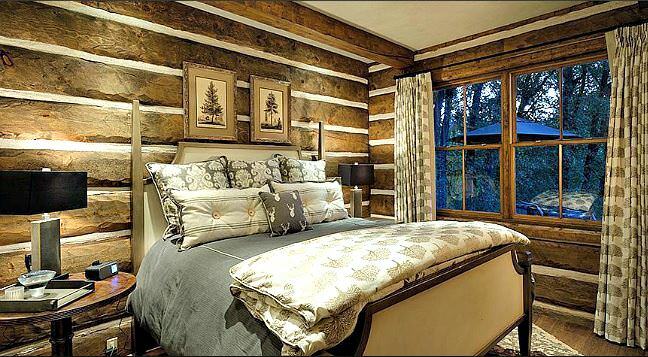 And, there's a good choice of hotels, B&B’s and cabins that can make any getaway something special. Best Time of Year to Visit Indiana - late spring to mid-autumn, usually anytime between May to October, is an fine time to visit Indiana. 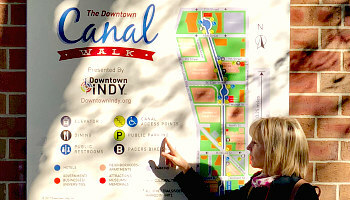 Indianapolis Canal Walk - a natural choice for a romantic stroll in downtown Indianapolis is the Central Canal from White River State Park to 11 St. It's a very enjoyable 3-mile loop, and there's a couple of canal-side cafes/eateries that look like fun spots to stop for a break. 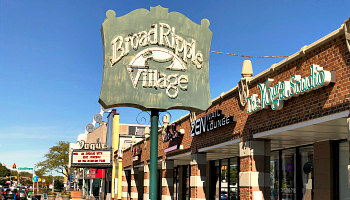 Broad Ripple Village - another cultural beacon of Indianapolis (David Letterman went to high school here! ), and full of good places to eat, shop, and engage in a "mini pub-crawl" in the evening. Mass Ave - live music, fine wine, arts, culture and theatre. 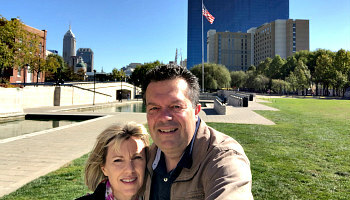 If you think Indiana is only rural, come and investigate this lively and vibrant section of the Indianapolis Cultural District. Pedal Boat Rentals - at 439 West Ohio St, Wheel Fun Rentals (317-363-9353) will have you all set up in a pedal boat for 2. Old World Gondoliers - from May to September each year, it's your chance to ride the Canal in a romantic Gondola (sorry, you might have to share the boat with a few others, but it's still a fun time). Reservations in advance required; call 317-340-2489. Gondola departs from 340 West Michigan St. in Indianapolis. 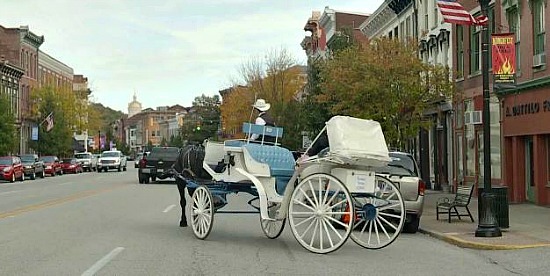 FYI, they do proposals and weddings as well in case an Indianapolis elopement is in your plans. Fort Wayne, IN - attractive Fort Wayne is one of the nicest small cities in the USA! 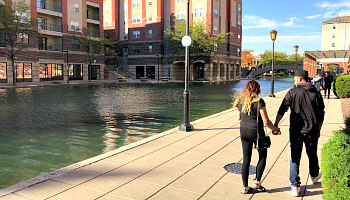 Romantic things to do in Fort Wayne include spending some time on the banks of the lovely Maumee River (nice scenic drives and walks), enjoying a picnic in Headwaters Park, or checking out the unique collection of downtown museums, shops and restaurants. If you love chocolate, a tour of De Brands Fine Chocolates in Ft. Wayne is a must. Indiana Dunes - sand and water lovers know that Indiana Dunes National Lakeshore in Northern Indiana is home to some excellent beaches. The views from nearby Mt. 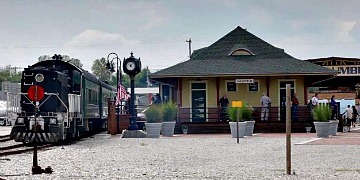 Baldy get our vote as one of most romantic spots in Indiana. 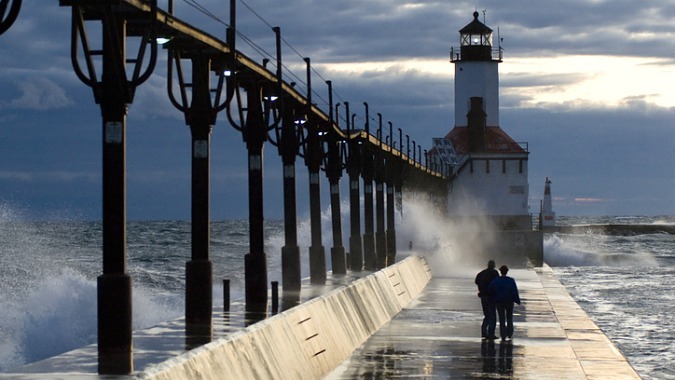 Michigan City – along Lake Michigan, this romantic place is nice for a stroll along the beach (see our picture at the top of the page! ), with a nice view of the lighthouse. Nashville, IN - if you take your romantic Indiana getaway in the fall, Brown County State Park is one of the must-see scenic drives in Indiana. The leaves put on their best show usually in October, when the autumn foliage is at it’s fiery best. Huntingburg, IN - the 4th St Shopping District is filled with history, one-of-a-kind local shops, and some interesting places to eat. 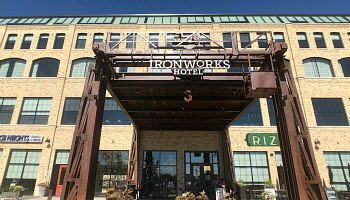 Bloomington, IN - love dining in both romantic and ethnic restaurants? You’ll appreciate Bloomington’s fascinating range of ethnic places to eat (over 100!). For a romantic restaurant in Bloomington, Bella Cucina ( 9332 Ensign Ave.S 952-941-3614) is a quaint little Italian eatery with soft music to accompany the tasty pasta and fish dishes. Madison, IN - this attractive spot in southeastern Indiana alongside the Kentucky River (and just across the state line) can fill up your weekend nicely: explore Clifty Falls State Park, visit some local wineries, or take a romantic horse-drawn carriage ride through the historic downtown (Elegant Carriages, call 937-903-5156 for more info). Scenic Drives in Indiana - in Parke County, just north of Terre Haute, IN, take a romantic drive through western Indiana where scenic landscapes and covered bridges await. Make some time to explore the winery and historic downtown of Rockville, IN too. 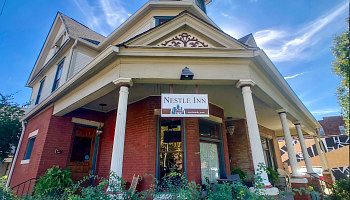 Romantic Indiana Amish Bed and Breakfast Accommodation - anniversary or honeymoons will work nicely with That Pretty Place, a romantic B&B in Northern Indiana. Enjoying a peaceful and secluded spot in the small town of Middlebury, Indiana, their honeymoon suite provides what many newlyweds want: a heart-shaped whirlpool tub! Budget Romantic Indiana Getaway - the Comfort Suites North is a fun option for cheap romantic suites in Indiana, plus indoor pool and free breakfast. French Lick, IN Romantic Cabins and Cottages - check out a great selection of both luxury and affordable romantic Cabins in beautiful French Lick, Indiana. 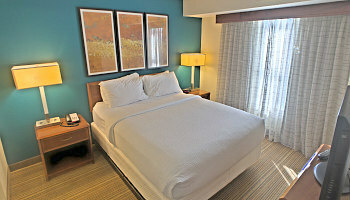 Many include suites outfitted with full kitchens, stone fireplace, Wi-Fi, outside fire pit, and even jetted spa tubs. Indiana Romance Packages - the romantic New Harmony Inn Indiana Romance Package features rose, champagne, a romantic music CD, as well as a romantic dinner for two. Weddings/Eloping in Indiana - if you’re looking to wed or elope in Indiana, look into the Swan Lake Resort Wedding and Elopement Packages at their luxury Northern Indiana resort.